Dental hygiene is very important to us. 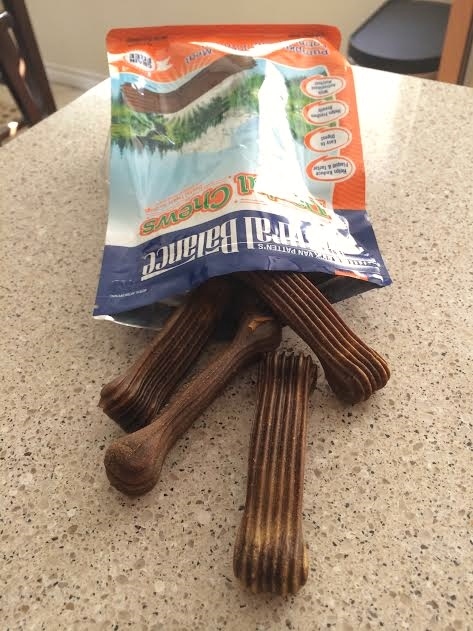 If you’ve been reading Her Dog Blog for a while, you know we’ve blogged about a few different types of dental chews including Greenies, and Blue Buffalo Blue Bones. We’ve even blogged about good ol’ toothbrushin‘! I like giving Teton a dental chew 3-4 times a week because it keeps his teeth nice and clean and his breath smelling, well, less breathy. I’ve been alternating between Greenies and Zuke’s Z-Bones so when Chewy.com offered to send Teton a bag of Natural Balance Dental Chews we were happy to give them a go! After all, variety is the spice of life. 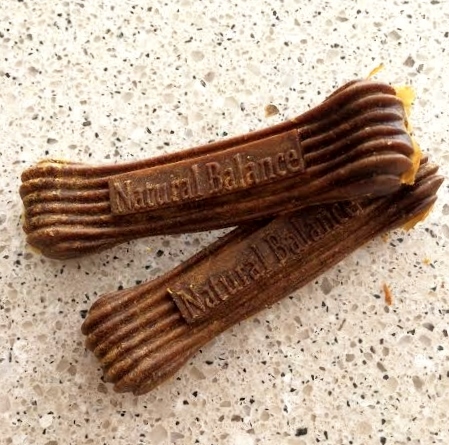 Natural Balance Dental Chews contain a short list of ingredients (the ones we tried – Pumpkin & Chicken Meal with Papaya – are made of pumpkin, potato starch, papaya, chicken meal, parsley, alfalfa, and a small handful of other things) and are constructed in a manner that encourages your dog to take his or her time in chewing them. That’s where the teeth cleaning comes in! If you’re looking for dental chews for the first time or want to mix it up and give your pooch something different, give these chews a try. They’re on sale now at Chewy.com. 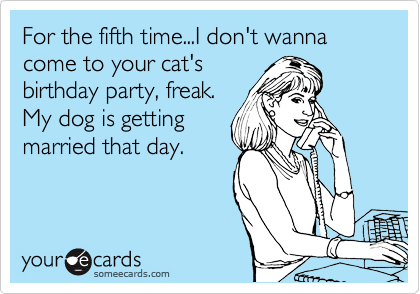 Posted on August 11, 2014 by Shannon	This entry was posted in Treat Jar. Bookmark the permalink.